As the Gulf of Mexico continues to be battered by the effects of the largest oil spill in US history, one conservationist with a famous family name is warning that the permanent effects could last a lifetime. 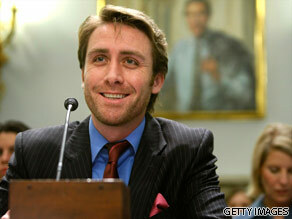 Philippe Cousteau is your Connector of the Day. Philippe Cousteau Jr, the grandson of famous explorer, Jacques Cousteau, recently scuba dived into an area of the Gulf that was affected by the spill and said it was an "absolute nightmare". Cousteau also said that a chemical dispersant being used to absorb the oil wasn't effective. "We were about 15 to 20 feet down and it was dispersed into smaller and smaller particles throughout the water column in these billowing clouds that were just circling us, encompassing us in this toxic soup," Cousteau told CNN. "It was very, very alarming." Cousteau also wrote on his blog that his grandfather, Jacques would have been "horrified" by the spill. "I know that my father and grandfather would have been doing this if they were alive and that they would have been just as horrified by what they saw as I was." Alastair Campbell is the highest profile press secretary that Britain’s ever seen. Alastair Campbell answers your questions. Tony Blair made Campbell his official spokesman right after winning the Labour leadership battle in 1994. For the decade in government, Campbell was Blair’s right hand man. He was even called to testify at the Iraq Inquiry about Blair’s decision to invade. His cunning campaigning led the Labour party to a landslide election win in 1997 and again in 2001, by which time Campbell was the government’s director of communications. Campbell came a long way to reach the top. The son of a Scottish vet, his first job was writing pornographic stories for men’s magazine Forum. He crossed over to more serious subject matter as a correspondent for "The Daily Mirror," eventually rising to political editor. As the only major Labour backer, "The Daily Mirror" gave Campbell the perfect chance to build up party contacts. Despite quitting involvement in the government in 2003, Campbell just couldn’t keep away from politics. He published a tell-all diary about his time in office called "The Blair Years" in 2007 and campaigned for the Labour party in the latest general election. Next month, Campbell will come out with a new, unedited version of his life in the Labour party from 1994 to 1997 in a new book. 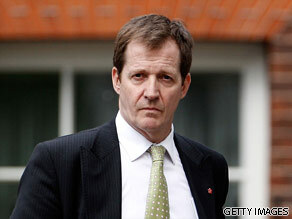 We want to know what you think so send in your questions to the sultan of spin, Alastair Campbell. Please leave your questions below and remember to tell us where you're writing from.